Hi, as much as I love creating involved cards there is something to be said for quick cards which have that WOW factor. I think today’s cards have that WOW factor and the best part – they took me no time at all to create. 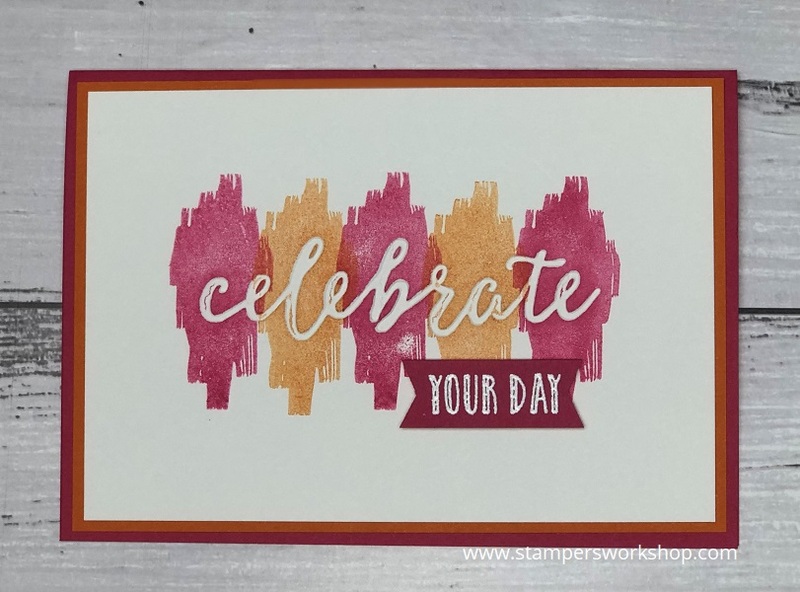 You will need the Happy Celebrations stamp set and the coordinating Celebrations Duo Textured Impressions Embossing Folders, a couple of inks and coordinating cardstock and you are good to go! 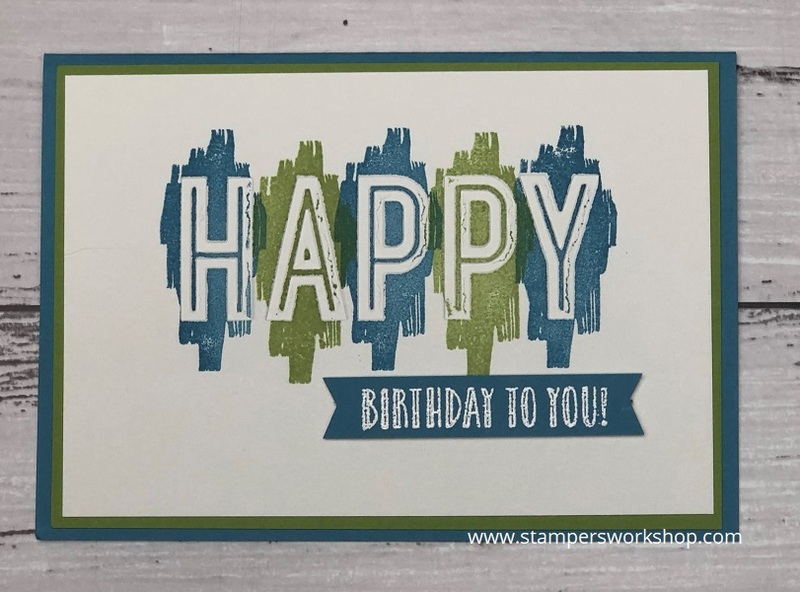 The Celebrations Duo Textured Impressions Embossing Folders actually deboss instead of embossing as most folders do. This means you can stamp over the design and the word, in this case, will not be covered ink. The effect is fabulous! I’m sorry the photographs aren’t great. The cards are so quick and easy to make but you could easily step them up with extra layers, different colours of ink, bling and ribbon. These cards would also be great as masculine cards – and we all know how difficult it can be to make masculine cards. I hope you’ll give it a try. I think you will really enjoy making these cards.